About 10 species, natives of America. 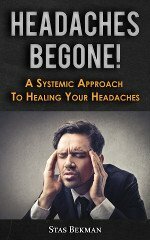 Besides the following, 2 others occur in the southeastern United States. Type species: Uniola paniculata L.
Spikelets about 1/4' in length; panicle spike-like. Spikelets exceeding 1/2' in length; panicle open. 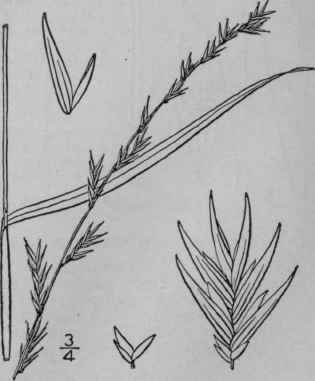 Panicle lax, the branches pendulous; spikelets on long capillary pedicels. 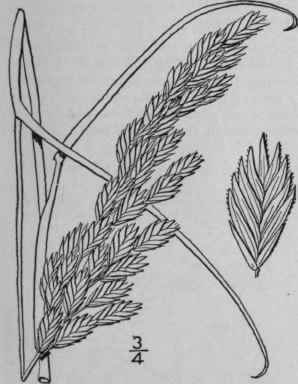 Panicle strict, the branches erect, rigid; spikelets on short stout pedicels. Holcus laxus L. Sp. PI. 1048. 1753. Uniola gracilis Michx. Fl. Bor. Am. 1: 71. 1803. Uniola laxa B.S.P. Prel. Cat. N. Y. 69. 1888. Smooth and glabrous, culms 1 1/2°-4° tall, erect, simple, slender. Sheaths shorter than the internodes; ligule very short; blades 5'-15' long, 1 "-3" wide, usually erect, flat, attenuate into a long tip, smooth or slightly rough; panicle spike-like, 4'-12' in length, erect, strict, or nodding at the summit, the branches erect, 1'-2' long; spikelets short-stalked or nearly sessile, 3-6-flowered, about 3" long; lower scales much shorter than the flowering ones, which are 1 1/2"-2" long, acuminate, spreading in fruit; palet arched, about two-thirds as long as the scale; stamen 1. Sandy soil, Long Island to Kentucky, south to Florida and Texas, mostly near the coast. Ascends to 900 ft. in North Carolina. Union-grass. Aug.-Sept.
U. latifolia Michx. Fl. Bor. Am. 1: 70. 1803. Culms 2°-5° tall, erect, simple, smooth and glabrous. 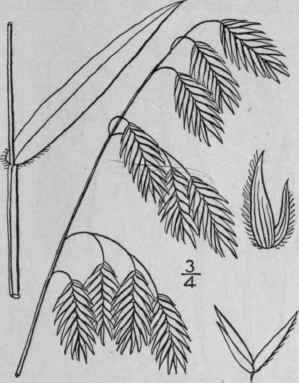 Sheaths shorter than the internodes; ligule 1/2" long, lacerate-toothed; blades 4'-9' long, 1/4'- l' wide, flat, narrowed into a somewhat rounded, often ciliate base, acuminate at the apex, smooth, excepting on the margins; panicle lax, 5 1/2'-10' in length, its branches filiform and pendulous, the lower 2-5' long; spikelets many-flowered, oblong to ovate, 3/4'-1 1/4' long, on long capillary pendulous pedicels; lower scales much smaller than the flowering ones, which are 4 1/2"-6" long, ciliate-hispid on the winged keel; stamen I. In moist places, Pennsylvania and Delaware to Kansas, south to Florida and Texas. Ascends to 2000 ft. in North Carolina. Wild Oats. Aug.-Sept.
Uniola paniculata L. Sp. PI. 71. 1753. Glabrous throughout, culms 3°-8° tall, erect, simple, smooth. Sheaths often longer than the internodes; ligule a ring of hairs about 1/2" long; blades 1° long or more, about 1/4' wide, involute when dry, attenuate into a long slender tip; panicle 9'-1° in length or more, the branches erect or ascending, strict, rigid, the lower 2 1/2'-5' long; spikelets many-flowered, short-pedicelled, ovate to oval when mature, 1/2'-1' long; lower scales much shorter than the flowering ones, which are 4"-5" long and scabrous on the keels; stamens 3. In sands of the seacoast, Virginia to Florida and west to Texas. Also in the Bahamas and other West Indies and South America. Spikelets persistent into the winter. Seaside Oats. Oct.-Nov.